Greg Hanna will team up with other leading cyber security experts to release the new book, Sitting Ducks, by TechnologyPress™. Shouthborough, MA –June 1, 2017 – President and CEO of TOSS Corporation, Greg Hanna, has just been signed to join a select group of IT experts across the United States to co-write the forthcoming book titled, Sitting Ducks. Nick Nanton, Esq. along with business partner, JW Dicks, Esq., leading agents for authors worldwide, recently signed a publishing deal with each of these authors to contribute their expertise to the book, which will be released under their TechnologyPress™ imprint. Sitting Ducks is tentatively scheduled for release in fall 2017 and will serve as a resource for businesses owners and professionals alike to take the necessary precautions to protect their critical information from online threats. Unsuspecting and often unwary businesses and their personnel are often Sitting Ducks to cyber-criminals. In this digital age, it’s important to understand the risks associated with protecting your business and critical information from online threats. 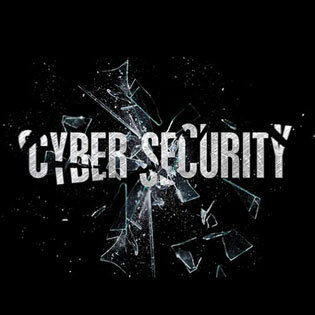 Sitting Ducks is compiled of excerpts from IT professionals, business leaders, and entrepreneurs, each of whom contributed their expertise on various methods of cyber security and the protection of information systems from theft or damage. Greg Hanna is an entrepreneur, speaker, best-selling author, and seasoned business executive. Leveraging over 30 years of industry experience, Greg helps CEO’s, Presidents, and owners apply the appropriate blend of security, reliability, performance and savings to their IT system, enabling them to achieve their critical business initiatives. Greg has a long history of identifying, developing and launching leading edge technology services, years ahead of industry adoption. Greg is the author of Computers Should Just Work!, and a Best Selling Author for Easy Prey. He has been featured in many publications including National Law Journal, Journal of Investment Compliance, Cybercrime: Current Perspectives, and has been a featured speaker at numerous ALA, ILTA, MGMA, and other Legal, Healthcare and IT events and conferences.